FREE SHIPPING WORLDWIDE - LIMITED TIME ONLY!!! Put them on and forget them! These are your new everyday earrings! Small and dainty but pack a fashion punch! These tiny semi-hexagon hoops made up of various mixed metal beads are so unique, you’ll be the only one wearing them! A tiny bit more rugged that pearl or rhinestone drops but they make an elegant statement none-the-less! 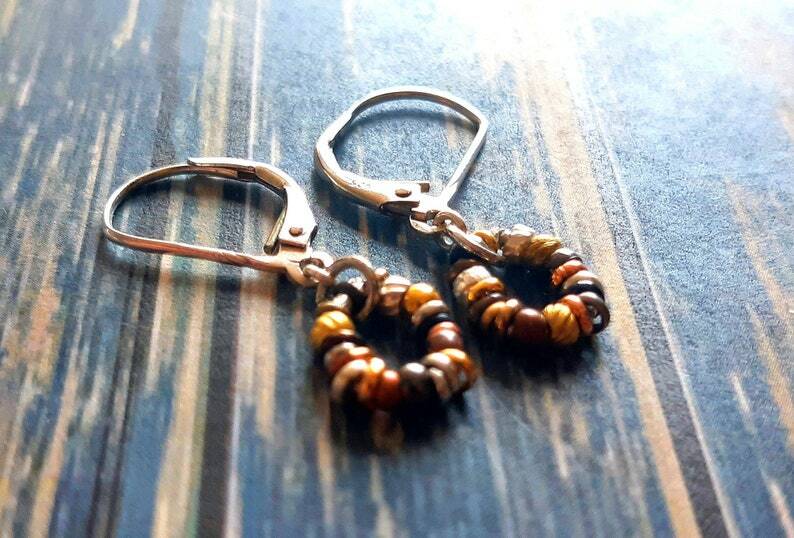 The hoops themselves are about 1 centimeter and together with the sterling silver lever-back earwires, the earrings will fall about 2.5 centimeters from the hole in your lovely ear. If you prefer larger hoops and circles hanging from your ears. . . .
© dorijenn 2019. All images and designs are the intellectual property of dorijenn. All rights reserved.